The main function of the door brush draught excluder is to block the wind and block the sound. 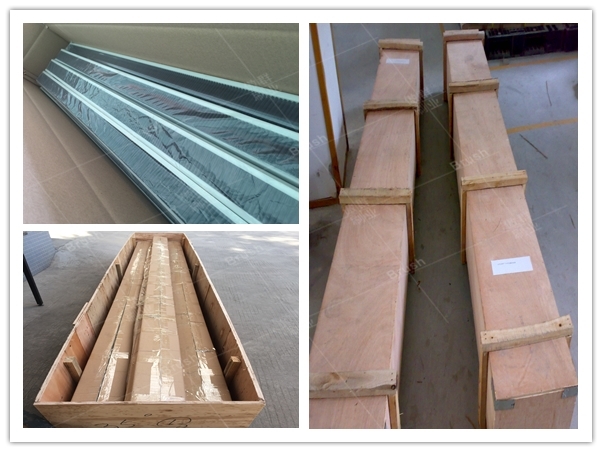 However, Miss Xiang, the purchase of a door industry in Guangzhou, recently received a batch of door seals. The brush is uneven and cannot seal the effect. Miss Xiang was not willing to accept such products, and required the original manufacturer to rework a batch of products, but the manufacturer did not reply for confirmation, and Miss Xiang would like find the new supplier to produce new batch door brush draught excluder. Through the introduction of acquaintances, Miss Xiang contacted AOQUN. The customer service of AOQUN carefully learned about the current situation from Miss Xiang, and told Miss Xiang, AOQUN is a manufacturer that has obtained the "ISO9001-2015 Quality Management System" certification. 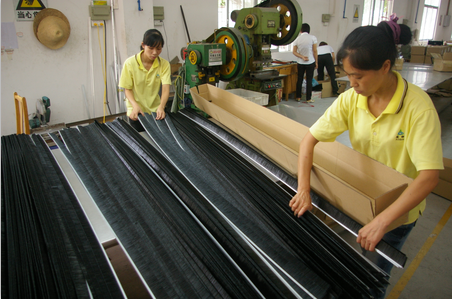 AOQUN has its own solution for problem of high- and low-level door brush draught excluder, First, AOQUN uses computer-controlled high-speed machine production to adjust the machine according to the custom height, and then trimmed brush before the packaging, and finally QC will check whether each product is qualified before leaving the factory. In every step of production, the production quality is strictly controlled according to the quality inspection of the quality system documents, process inspection and factory inspection. Eliminate the unevenness of the door brush draught excluder. Listen to the customer service, Miss Xiang order a test order. After 7 days, Miss Xiang received the door brush draught excluder and contacted AOQUN again and praised us. The quality of the brush was very good, and the door brush draught excluder was smooth and neat. Soon after, Miss Xiang has become an old customer, and there are 1000 meters for every order. Mr. Zhang from Jiangsu is a manufacturer of platform screen door, work for many subway projects all the years, so the demand of door brush strips for PSD door is large. The flame-retardant effect of those door brush strips purchased previously is not good: the drawing requires UL94-V0 level, but the products delivered by the supplier are not reach the UL94-V0 standard. At the end of the month, they have to deliver the PSD door brush strips for 2 stations, if so, the delivery will be postponed, their customer is very dissatisfied with this case. Mr. Zhang learned from his friends that AOQUN has much experience in the production of PSD door brush strips, he wants to have a try. According to the drawings provided by Mr. Zhang, it is found that his customer is the same as the customer we cooperate with. In the case that Mr. Zhang did not have time to explain the specific requirements, our customer service has been able to introduce, AOQUN platform screen door brush strips reached UL94-V0 level, passed the SGS testing agency certification, and installed in more than 90% of the Chinese subway PSD door. Mr. Zhang assured the order will come soon. Due to the urgent demand of Mr. Zhang's project, we opened the green channel for him, and we will deliver the order to the factory of Mr. Zhang with guaranteed quality and quantity in 7 days. 15 days later, Mr. Zhang called us to express his gratitude, appreciated that AOQUN provided best PSD door brush strips professionally and timely, the owner was very satisfied with the quality and on-time delivery of their project, decided to give them an order of 5 more stations. Miss Kang is a Beijing building materials company’s procurement specialist, who is responsible for the procurement of door accessories. Recently she encountered a headache, she recently purchased a brush strip for door and installed on the door. Some days later, bristle often felled off, seriously damage the overall sealing function. Now they have received the customer's complaint, and may lose the customer if don't deal with it properly. So now they are in urgent need of looking for a better door brush strip supplier, she found AOQUN through online search. AOQUN business manager Mr. Wang served Miss Kang, checked their original door seal brush sample, found the main reason of the bristle fall-off is that the cut processing of brush strip for door operated badly, the port of brush strip for door channel was open (not sealed), thus bristles felled off gradually. 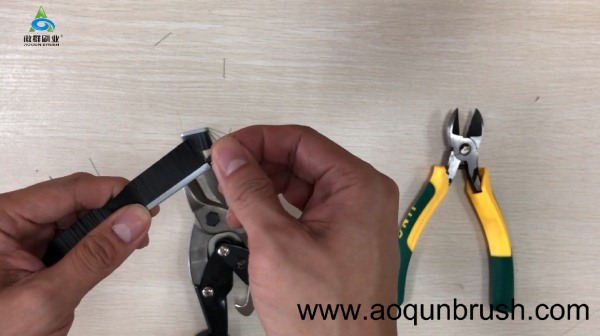 AOQUN is a professional door seal brush manufacturer, equipped with advanced production machine, using advanced 4 punching tool equipment, can ensure that the brush strip for door be cut well, good sealing of the channel port. At the request of Miss Kang, the samples were taken by her for testing immediately. Miss Kang directly sent the samples to their customers, and received good feedback five days later, and customers asked the supply of this type of brush strip for door for all the subsequent orders. At this point Miss Kang finally won back the customer, also successfully placed an order of 1800 meters door seal brush to AOQUN. 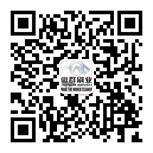 Mr. Zhou, a door manager from Guangdong inquired, he urgently needs a batch of dust-proof door brush sweep. Mr. Zhou can provide drawings and samples to us, but there are strict requirements on the packaging method. Because there was no outer box label of the previous delivery. The goods in the box were messy, causing deformation. Many complaints were made by the installers. Now the leader of Mr. Zhou strongly requires replacement of the dust-proof door sweep brush supplier. After understanding the Mr. Zhou’s situation, his needs are our company's packaging requirements. Xiao Chen from AOQUN explained Mr. Zhou our process of packaging is that we put a bundle of 10 pieces of dust-proof door brush sweep, and wrap the two ends with a wrapping film, and then put it into a carton of suitable size and attach the label of the outer box , In this way, there will be no distortion or mess during the packaging process. After listening to our packing method, he feels very safe, Mr. Zhou send the order to our AOQUN directly. After receiving the door brush sweep, Mr. Zhou was very satisfied with the way of packing and quality of our dust-proof door sweep with brush. No unconfirmed and messy placement was found after the inspection, and he decide to purchase door brush sweep from AOQUN in the future all the time. /Mario from Ireland called“Hello, can you please customize the garage door seal brush for me? according to the design and size I requested strictly. 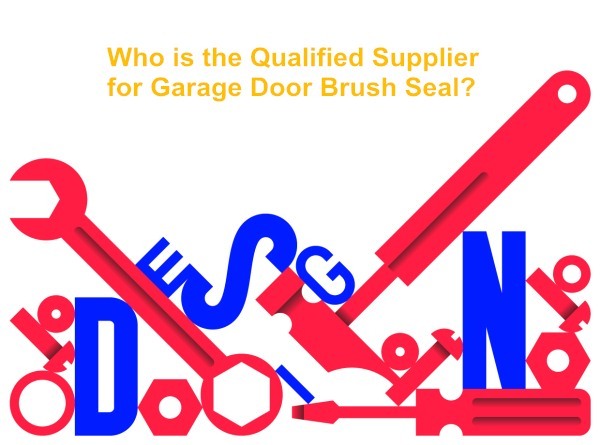 I have recently asked several suppliers, they can’t help me design and customize the brush seal for door I hope you can help me solve this problem." Our professional senior sales Ferad received Mario's call. He has a wealth of experience in garage door seal brush, Ferad is so called the Australian garage door seal brush prince in our company. Ferad talked to Mario and knew what Mario wanted. Although Mario told Ferad that he only had the picture and size of the door, we needed to help him design a seal brush for this garage door. Seeing the picture, Ferad gave Mario a new aluminum strip that we recently made. When Mario saw this aluminum strip, he was more certain about the strength of our design customization, and discussed the mold directly with Ferad. Ferad also let our engineer drew the design of the required aluminum strips, according to the shape and size given by Mario. Mario was very satisfied after seeing the drawings, and soon confirmed with Ferad to open the mold. On the 10th day, Ferad informed Mario that the first sample of aluminum strip had been made, also took the picture to Mario, then sent out the aluminum strip sample. On the third day after Mario received the sample, the sample was confirmed by direct mail. After 10 days, I received Mario's email and attached a 2,000-meter garage door seal brush order. Mario also said, "Because of AOQUN professionalism, help me design and match our garage door and help me solve problem, I won this 2,000-meter order." The Development of the Industry can Never Digress from the Pursuit of Nylon Weather Stripping Brushes Quality! Guangzhou AOQUN Brush Industry Co., Ltd is the professional brush manufacturer with the fast development speed, strong comprehensive strength and high-end customers. We have established a long-term cooperation with many international well-known enterprises, such as Schindler, Kone, CRRC, ThyssenKrupp, Hitachi, Fangda, etc. 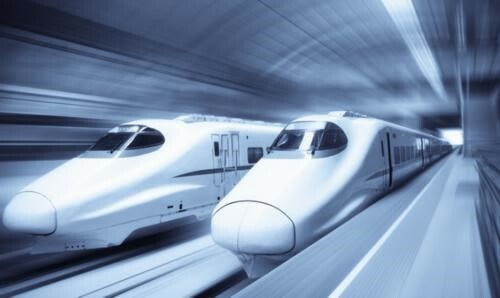 Besides, CRRC and Fangda are the leader enterprises in railway industry, who have occupied over 50% railway projects of the railway industry annually. With the rapid development of society, there will be more and more investment for the trains and subway. 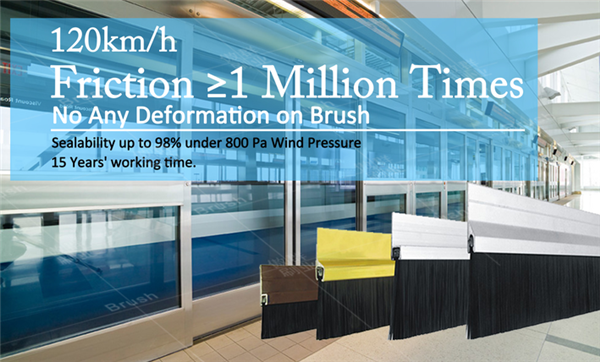 The screen door of the high-speed train should choose the high quality nylon weather stripping brushes to be more effective without affecting the train running. I will introduce you the following requirements of the nylon weather stripping brushes for the screen door. 1. Recommended to use the flame retardant nylon weather stripping brushes: because when lit it, it will have the non-toxic white smoke, halogen-free, no drop, extinguish when away from the fire, and it passes through the UL-94 flame retardant test; 2. Then nylon weather stripping brushes should meet the ROHS environmental protection heavy metals 6 items, 10 items and EU SVHC highly concerned substances 169 detections; 3. The nylon weather stripping brushes filament should be smooth, neat, has uniform thickness, no pressure scars, no bend brush filament, no abnormal light leakage; 4. The brush tension should be greater than or equal to 5KG. it will not deform or lose filaments after 100 million times back and forth friction test.